Dorm Co. 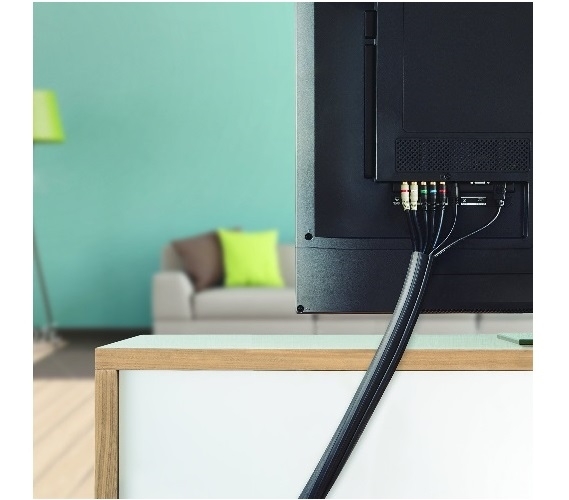 Tip: Add to dorm room decor by keeping cables organized! 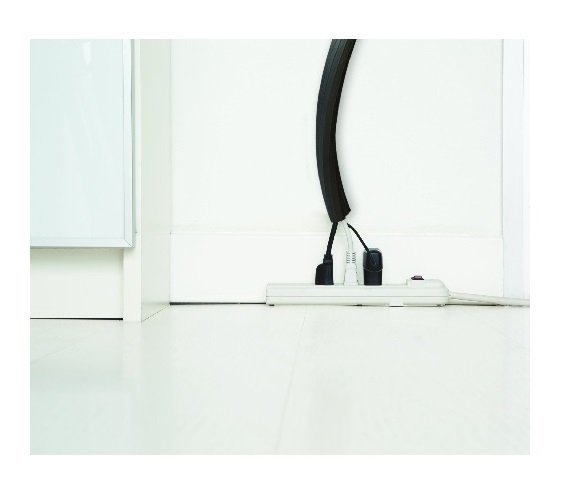 Cables can frequently get out of hand and detract from dorm room decor. You may or may not have had that problem at home, but you will in college. When you move into your college dorm room and unpack and set up all your dorm electronics, you're going to realize how much the cables will take over your college dorm room. Plus you're going to have a lot more cables in your college dorm room than you did in your room at home. When you're in your college dorm room, you also have a dorm microwave and college mini-fridge that you have to plug in. Keep those cables organized by having our 12' Flexible Cable Wrap in Black in your college supplies. This dorm essentials product is a 12 foot cable wrap that can be easily cut down according to the size you need. Maybe you need some cable wrap in one area of your college dorm room and cable wrap in another area on the opposite side of your dorm room. This cable wrap will allow you to keep both sets of cables organized because the soft flexible rubber is easy to cut down to what you need. 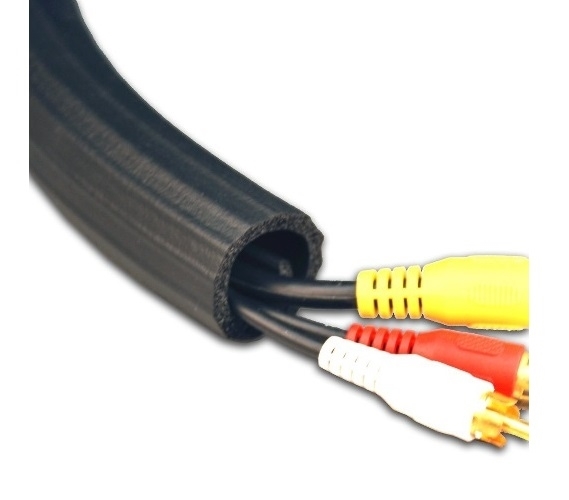 This wrap has the ability to overlap so whether you have a large bunch of cables or a small bunch, you're going to be able to accommodate them in this dorm necessity. You can even reroute a cord midway down the length of the cable wrap if the cord is shorter than the others that you are wrapping. Don't detract from dorm room decor and trip over cables in your college dorm room - keep them organized in this dorm organization dorm essential!